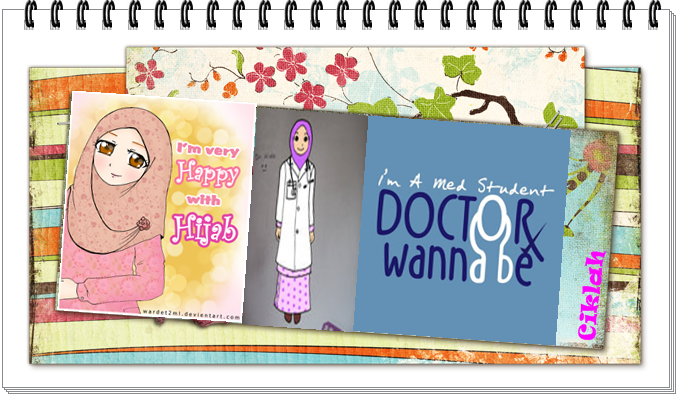 Alhamdulillah, today is our first day for GP Posting and it was so exciting! Lat Thursday, we had a talk with Mr Nasir under a programme called POWER. This is on behalf of our entrepreneurship subject, that our awesome lecturer, Pn. Siti Nurulhuda set up an appointment with a representative from AKPK, Encik Nasir to give out a speech for the sake of our good financial planning in the future. Their mission is to make prudent financial management a way of life for all Malaysians. And their mission is to promote financial wellness by empowering individuals through financial education, credit counselling and debt management programmes. Regarding the cash flow management, we are thought on how to manage our cash appropriately and know how to invest our money. Then we had been given the outlines for applying banking finance; how to opt for the best interest rate, when is the right time to make loan, and the optimal duration for every loan that we make, which is the shorter the duration is the better since we can lower the interest rate. He advised us to at least make loan once in our life to gain banker's trust to give us loan whenever we are really in need. After that we discussed about the wise usage of credit card. He told us that the least credit card that we can have is to and the most is two ONLY! He suggested us to have one VISA and one MASTERCARD. He tought us about how to use the credit card in terms of duration to spend, value to pay which is the maximum debt and NOT to OVERUSE it! The advantage of using credit card is we don't have to bring lots of money in our pockets to go to shopping centre. When it comes to the chapter; buying a car, he asked us which one we prefer; either new car or second hand car. Well, he suggested us to buy a second hand car which is more cheaper than the new car. There is a long debate beyond that. Then, he opened a discussion about buying a house. Buying a house for our asset is out of the discussion because it is definitely a good investment to do. The issue is to make a choice for a house to stay, either to buy or to rent. In a nutshell, it is much better to just rent a house to stay rather than buying since that the maintenance cost is so high. If we just rent a house, the owner will settle down everything related to the house, and we just have to pay the monthly rental. Lastly, we discussed on how to manage our debts. The gold advice are, our monthly debts should not exceed 40% of our monthly pay, and never be a guarantor! Seek for financial counselling for free at AKPK whenever we have financial problem. They are always ready to help us!